Dale created the most beautiful dream bathroom for me! I'm over the moon with his work. The quality of every piece in my bathroom is top notch and the workmanship is the same. He came to me with ideas, listened to mine and together we created a masterpiece. I HIGHLY recommend Dale and his team. He takes care of everything, keeps you in the loop and delivers on time. Thank you very much. I enjoyed working with you! Hope we get a chance to do other work for you! Work so nice, I used them twice! 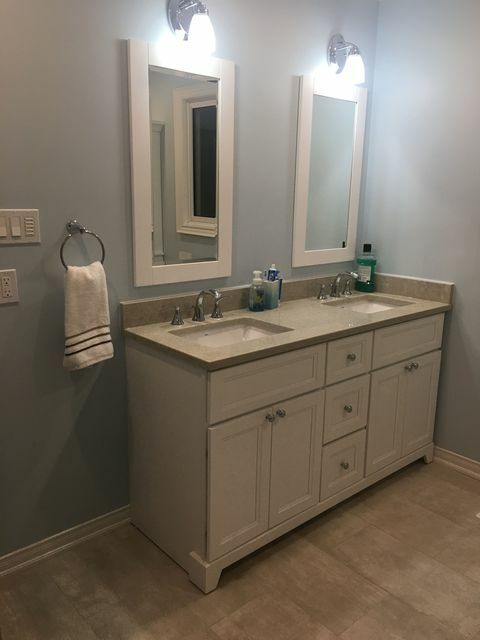 I used Complete Home Solutions for a bathroom reno in 2017 (see previous review) and was so impressed that I asked them to come back and complete a kitchen reno for me in the summer of 2018. Dale and his team did a fantastic job - I couldn't be more pleased. The kitchen was completely gutted, new insulation, plumbing and electrical was put in and everything went smoothly and was done to my specifications. My little extra requests (such as removing sections of walls and making the bulkhead smaller) and any problems we ran into were no trouble. As usual, Dale was responsive during the whole process and kept me updated at all times. Dale is meticulous about doing things to code and gets proper inspections so you never have to worry about running into issues in the future. I highly recommend Complete Home Solutions to anyone looking for quality work. your new kitchen. Let us know if you require any further services. 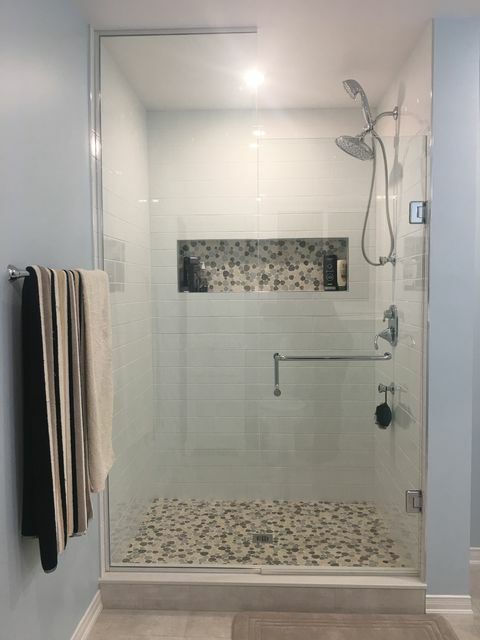 Dale from Complete Home solutions did 2 projects at my home, 1-For an insurance claim involving complete demo and redo of the living room, a bedroom and repairs in 2 others rooms. One thing to note-I work in the construction industry so I am knowledgeable in some of the trades involved and also know the costs related. Dale met with me prior to the work a couple of time, not only was he punctual but when discussing the project what stood out for me was his communication with me, he listened to me and I knew he understood exactly what I was trying to convey. This is why I decided to go with them. They were given the challenge of doing the work with me also living in the house. During the entire project Brad took extra care every day to ensure the space was cleaned up and tidy so that I could reside in the evenings. I was so impressed with the workmanship in the first room they did, that we decided to add the project of making a loft in our attic. The workmanship of every phase of the work is top notch. Having a Contractor in your home working on 75% of your living space for 2 months is not easy-but Complete Home Solutions made it comfortable for me to endure it. 3-Price was good-for quality, service and finished product-a deal if you ask me. I would happily have them back to do more renovations and plan to use them for future work, thank you Dale & Brad, you guys are great. My original en suite bathroom was very small - 30 inch vanity, toilet and shower tub combination with absolutely no floor space. We had a small walk in closet next to the en suite and I had visions of ripping it out to make the bathroom larger. Almost every other contractor that came in to look at it either did not want to tackle the job or wanted a lot more money than I was willing to spend. Dale and his team quoted a fair price and did everything just the way I wanted. They did a full gut job and put in new walls, floor, ceiling and even put in an exhaust fan. They moved plumbing and put in new electrical. Dale was very responsive during the whole process and kept me updated at all times. The tiling is impeccable (thanks Brad!) and I have yet to find any flaws with the job. Thank you, Dale and Brad - I could not be happier! It was a pleasure to work for you on your bathroom and appreciate you referring us to your family. 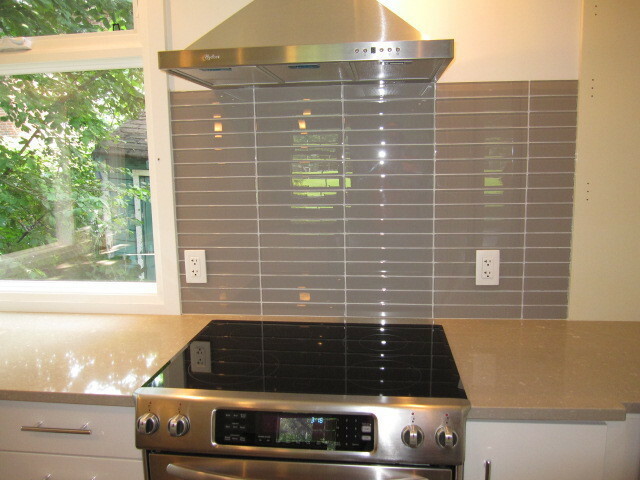 We will be in touch for a new review on the kitchen we recently finished. 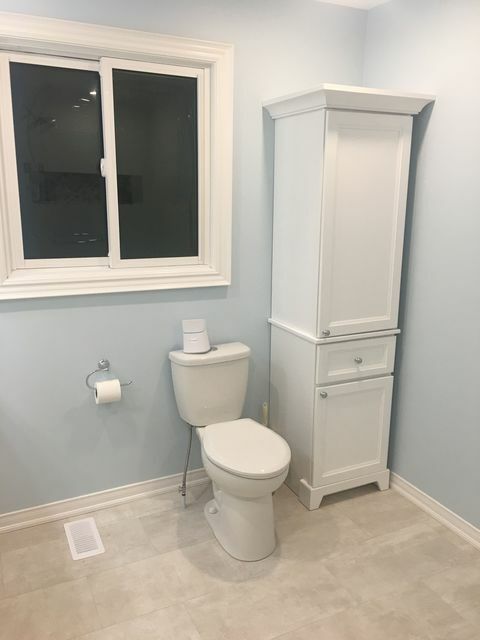 In order to customize my bathroom the way I wanted, they needed to do a full gut (walls, floor, ceiling) change all the plumbing and electrical. They did an amazing job to perfection. The tiles were perfect, everything was perfectly in place when they left. The really listen to all your issues during the process. Everything was stress free and I am really happy with the final product. Very reasonable price and it was less then all the other quotes I had received. Thank you! Thank you for your kind review. We look forward to doing any future work you may need. Finished product was exactly what I was after. Dale and his team are very professional and take the time to understand your needs and deliver exactly in that. They keep their word and produce high quality work. I hired them again for another job once they finished this one. Thank you for your great review. You were really accommodating to us so we could get the job done. We look forward to doing more work with you in the future. Take care. Really happy with these guys. Very professional, ethical and high quality work. They had some glitches to work through (from a previous company's mess), and handled it with no problem, no annoyance and no reservation. Highly recommend them. It was a pleasure working with you. We look forward to providing any future renovations you may need. A few years ago I purchased a home near Avenue and Chaplin that had been constructed in the 1940's and had a proper addition put on in the 1980's. The basement had never been done, it had knob and tube, and it required some immediate upgrades to even qualify for home insurance. 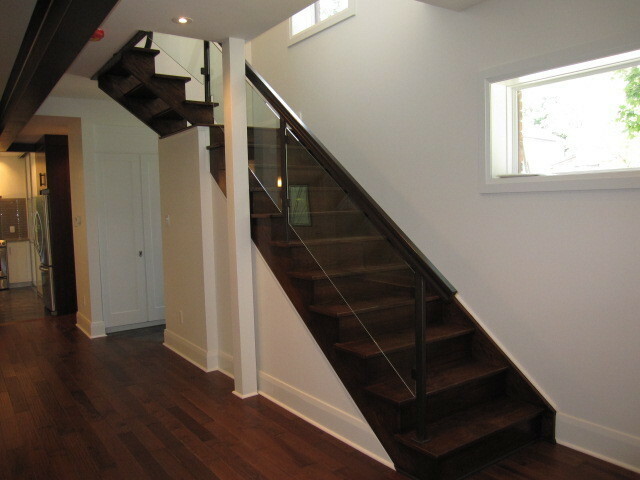 Dale took on this project as general contractor, and in the end I am very happy with the outcome. 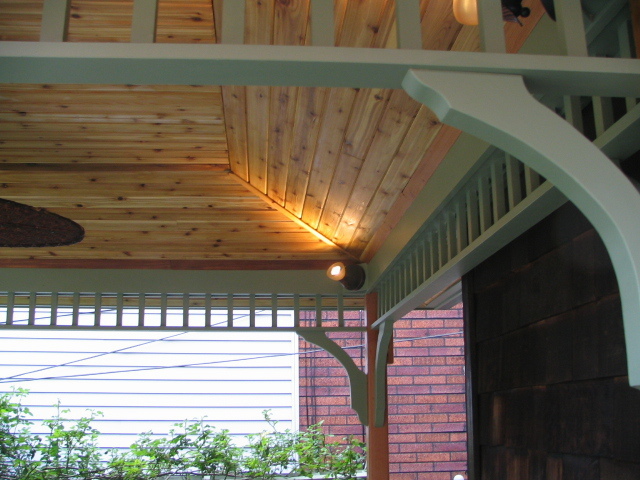 He does things by the book, got architectural drawings done, proper permits and inspections. At the end I have a complete paper trail I was able to show the bank appraiser who replied, "you have a fully legal basement apartment. That is going to add to the property value." And it did. With the nice job they did I was able to attract an excellent renter who recently signed a new contract to rent for the second year. After three years of rental use, the basement is holding up very nicely. He used special sound proofing drywall and insulation so the renter doesn't hear my 3-year old daughter running on the main floor and I hear very little from downstairs. The bathroom is also holding up very well. In fact, that basement he did is now the nicest part of the house. I was an extremely picky client, quite demanding, and he was very accommodating to my many requests. I understand when you do a large project not everything is going to go perfectly, but in the end Dale goes out of his way to stand behind his work, and that is worth gold to me. It was a pleasure to work for you and we are grateful for your business. 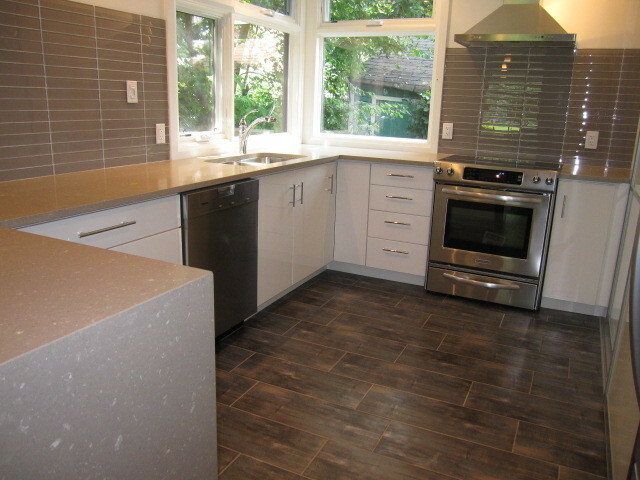 We look forward to being able to service you or any of your friends and family on any home renovation projects. 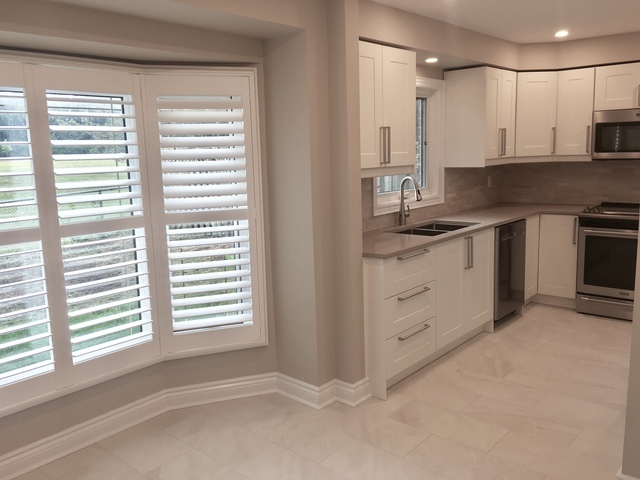 Dale Marsh (owner of Complete Home Solutions) and his team had done some work for us on our home and our rental properties, so when a friend needed a recommendation for a big project, I recommended Complete Home Solutions without hesitation. The friend was suddenly transferred to France for work, leaving me to be his representative by proxy for the renovation project. It required a complete gut: a duplex conversion to a single family home, with work on the exterior as well. Dale and his team were wonderful to work with. His pricing was reasonable and accurate. As plans developed and changed, he was flexible and adapted quickly. He puts his clients' needs and budget high on his priority list. As a result, he made excellent recommendations and was particularly adept at finding ways to save money. His crew is a wonderful group of competent tradesmen who are pleasant, neat, and hard-working. I look forward to having more opportunities to work with Dale and his team at Complete Home Solutions and recommend them highly. Thank you for your kind words and we are looking forward to hearing from you on any renovation needs you may have or any friends or family that you may know of. 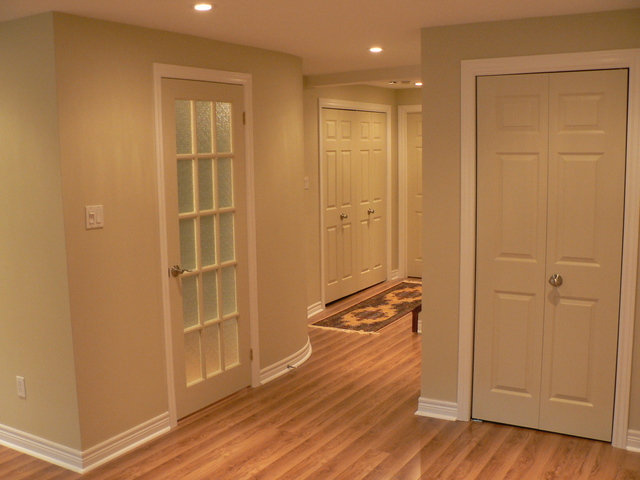 This was an upgrade to the existing bathroom and two bedrooms as we were preparing to rent the basement spaces. 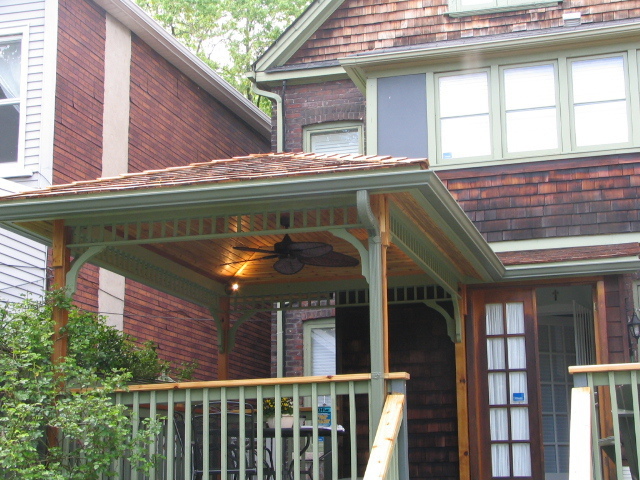 The work was completed quickly despite a few aggravations (those always show up when you are renovating an older home). I had seen Dale's work on another home and was happy to hire him because he was one of the people who showed up to do the work. So I was not worried that something would get missed or worse, avoided. And the other nice thing was being kept in the loop on where things were at. It was never hard to reach him. A very satisfactory job with no headaches. I would highly recommend this company to anyone. Thank you we appreciate your business. We are here for any future renovations you may need. price. We take the time to really listen to our customers and deliver what they need & want. We have been in the home renovation business for 14 years and consider our customers part of our family. “Your home is our home”, is our company motto. Our specialty is in Basements & Bathrooms. 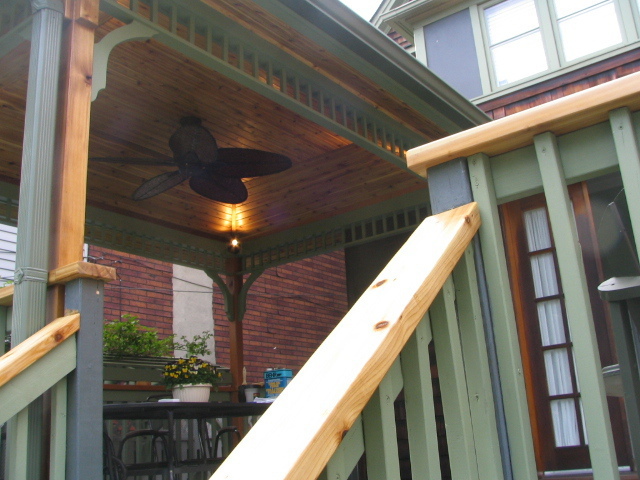 We also have the expertise to build additions, kitchens, painting, tiling, drywall, decks, gazebo's and any other general renovations you may be in need of. Contact us for a FREE estimate. We look forward to doing business with you.